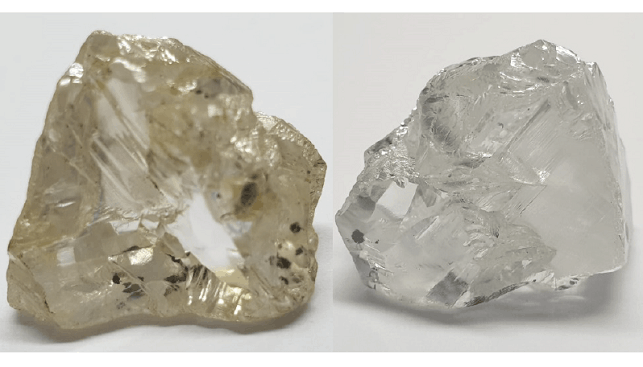 Lucapa Diamond Company has found a new alluvial source of “large and premium-value diamonds” at its Lulo diamond mine in Angola, according to press release. Lucapa said that it has been exploring the extensive flood plains along the ~50km stretch of Cacuilo River valley within the Lulo diamond concession, and found that they are host “to exceptional alluvial diamonds”. The tested area yielded 17 Specials (larger than 10 carats), including an exceptional 55 carat Type IIa D-colour white. A total of 1,502 carats were recovered so far from 11,155 bulk cubic metres processed. Lucapa said that it will continue testing “other flood plain areas at Lulo in parallel with alluvial mining activities in established areas”.